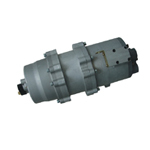 Rebeck is an industry recognized leading AC Compressor developer and manufacturer. The feature of AC compressor inlcudes high efficiency, long life time, internal controllers, over-voltage and under-voltage protection, limiting current and overload protection, over temperature protection, soft starting, automatic reset, reversed polarity protection and more. The objective of Rebeck it to develop and manufacture AC compressors in consistent high quality to meet and even exceed customer's requirements. To deliver quick response to customers' requests and comments; the marketing and after-sales teams always provide free flow communication with customers. 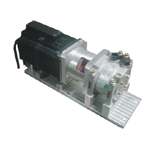 Rebeck welcomes all your standard and customerized requests about the AC compressor. Rebeck AC Compressor series are all quality guaranteed by our experience experts with rich experiences and technology. Also, it was divided into two main categories: split type and integrative type of AC compressors. With our products, brings you high efficiency works and long life time of our products which can save you money from keep replacing your equipment. To get more detail information, please do not hesitate to contact us right now!